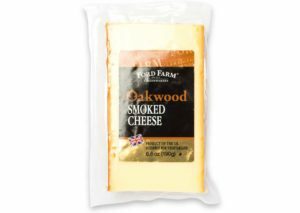 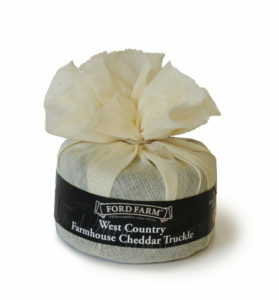 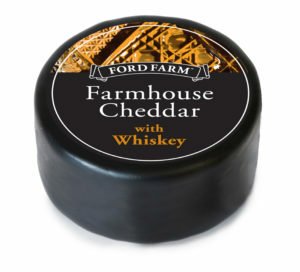 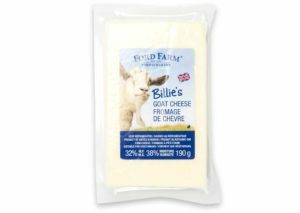 This tangy, hand-made farmhouse cheddar, is blended with a delicious sweet and tangy confit of caramelised onion. 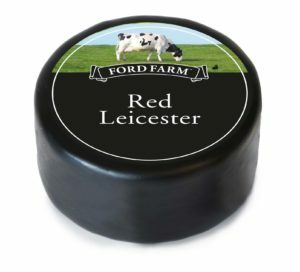 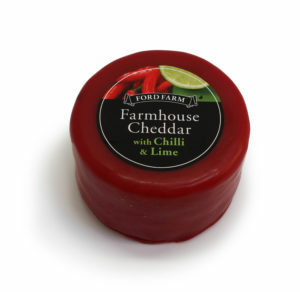 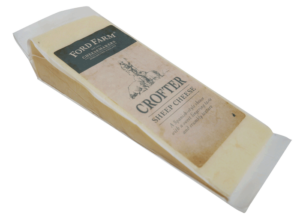 Ford Farm Cheddar is blended with zingy lime juice as well as a piquant chilli which leaves a long finish and really packs a punch! 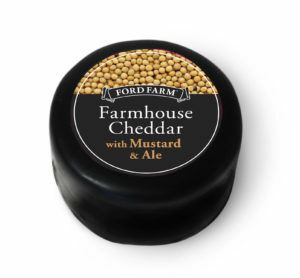 This tasty cheddar blends deliciously rich, characterful, mature cheddar with Old Speckled Hen ale and a generous serving of British-made wholegrain mustard. 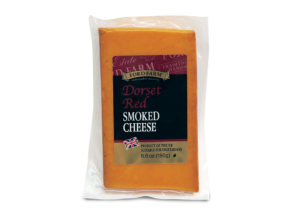 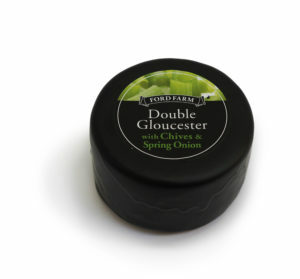 A tasty combination of mellow Double Gloucester, made to a traditional Cotswold recipe, with zingy spring onion and dried chives. 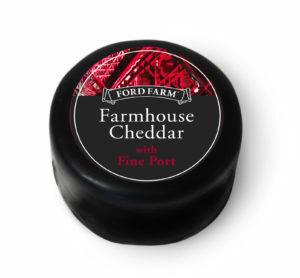 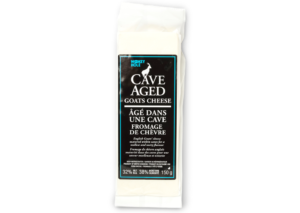 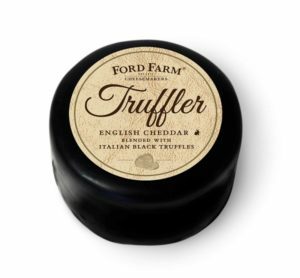 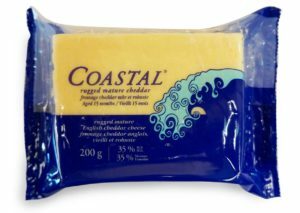 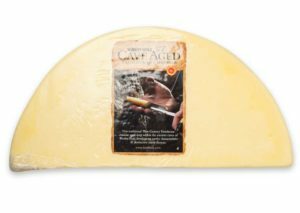 This silky smooth mature Cheddar is infused with the sweetness of port wine, cutting through the sharp cheddar resulting in a deliciously warm and balanced flavour. 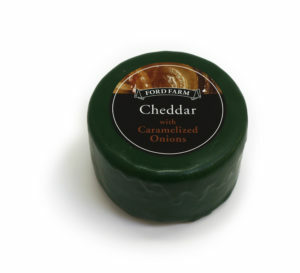 A perfect winter warmer. 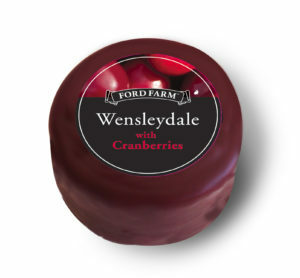 This cheese has a sweet flavour with honeyed undertones and is combined with the sharp, fruity succulence of juicy cranberries.